When the Nitecaps split up and reformed into two different bands in 1967, Jim Bruno called and asked me to take Rob Vallelunga‘s place on organ. My brother Chip had been the Nitecaps’ bassist the previous year before the split up, and during that time I went to many of the shows and became friends with the band members. My friend Tim Smith, who I had met while playing baseball in the Burbank Little League years before, played sax and was also asked to join the Nitcaps at this time, so it was pretty easy to accept the gig. Rob and I clicked right off and would spend a lot of free time together, talking and practicing music or just having fun. I didn’t know much about playing keyboard (not even the keys) at that time; everything was by ear. Rob taught me the key notes and showed me the chord changes, which really helped, as I didn’t even have a useable gig organ at that time. My parents were unable to help me in obtaining a useful instrument, so Tim spoke to his mother – “Hep Mama” – and she cosigned for me at Stevens Music. 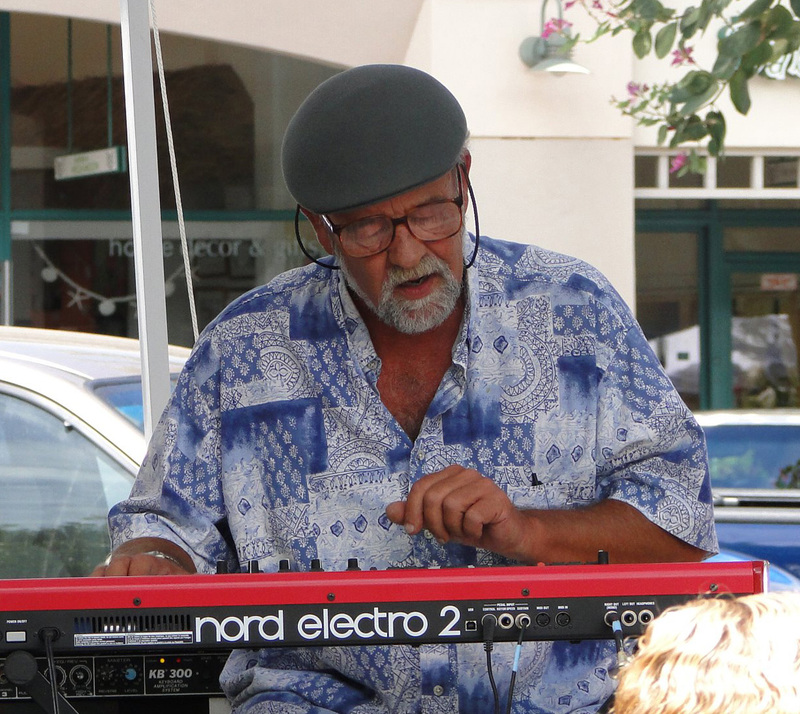 Harvey Leventhal set me up with a Hammond M3 at $38.50 a month and I loved it! As the Nitecaps was reforming, and we were starting from ground zero, the first order of business was to find place to practice. My brother Chip, along with Nitecaps mentor Dave Daly, were playing with a group called The New Dawn and they were practicing once a week in my parents’ living room from 7-9 pm. Our parents saw the good in this and were very open to this allowing the new Nightcaps to also practice there on school days from 4-6 am. We started by working on previous Nitecaps material along with a few current radio hits. We worked endlessly over and over on getting everything as good as we could. Keep in mind that I was 15 years old then and had no work experience aside from picking a few boxes of apricots for a day, delivering news papers for a month, or feeding the neighbors animals and picking up poop when they were on vacation. I bet most of the other guys were in the same boat that I was – we just didn’t fully realize what needed to be done to achieve the accomplishments and experience Jimmy and the Nitecaps had. Only Johnny Diaz, Butch and Bob Martin understood how Jimmy led the band; Jim was always in total control of the band and expected progress. Sure, at times I hated him, but I also always loved him as just one of the guys. Years later, I learned that Jim was an only child and was raised by his very smart and beautiful grandmother. She knew well what hard work was all about if you wanted to succeed and she taught Jim well. We practiced hard for some six weeks on our show, and then entered a battle of the bands at Sherman Clay Music Store, where we took first place and won a guitar. We played the Wutzit a couple times, and various summer teen clubs throughout the summer. I specifically remember playing Morgan Hill High Teen Club. Kevin had his mom’s Rambler station wagon and we would drive together and haul my organ in the rear. My friend John Rossell had his own car, and would come to help with set up and to look for girls. Well, we went down Santa Theresa Blvd., as there was some traffic problem on the freeway. We ended up lost on some farm road that was less then one lane. Ripe tomato crops were on both sides of the road and we didn’t have enough room to turn around and of course, we were running late for set up. My friend John ended up turning off the road into the crops and then floored it. The dirt was really soft and he lost control and started spinning doughnuts through the tomato crops. Kevin and I started laughing, said, “What the hey,” and ended up doing the same thing – dumb kid fun! Ultimately, we got turned around and made it to the gig with new paint jobs courtesy of the smashed tomatoes. Yikes! I found it fun but also interesting, as there were no goals or progress to see in my old chums. Some turned to the dark side by robbing houses, or breaking into cars, or stealing beer from 7 Eleven just for kicks, and some of them were using drugs – not all of them – but I was glad to be involved in music and the Nitecaps, as it kept me grounded and free of serious trouble. Being a member of the Nitecaps was my first experience playing music as a professional musician. It was the first time that I experienced that very special feeling of being on stage with fellow musicians who also worked hard to perfect something. It’s truly a special connection that lasts a lifetime. To this day, I can meet a stranger and if we start talking music to any degree, I can tell if it’s there, the musicians friendship. It’s not unlike being in the military with your brothers during war. I guess it’s not easy to explain unless you’re a musician. We continued to practice at my parents’, as did The New Dawn, and I ended up staying with the Nitecaps for six months or so. When Jim Crosley, the keyboard player for the New Dawn, was having problems getting to gigs and to practice, I was later offered the position. They were playing three times a week or so, and with my organ bill to pay and an opportunity to advance my musicianship with Chip and Dave Daly, I accepted. I’d describe my experience with the Nitecaps as a great lesson in learning. 1. Learning the hard work ethic of being on a team striving for a common goal. 2. Learning about growing up and making good choices about finding true friendships that last a lifetime. 3. Learning the value of adult responsibility while still a minor. 4. Learning the meaning of a musicians’ friendship for life – the musician’s bond. 5. Learning that I wished to make music for a living throughout my entire life. From there, I stayed with Dave Daly and Chip, and we developed a good sound together while with The New Dawn. Gradie O’Neil at Tiki Recording Studio needed some studio musicians to record weekly doing country and gospel radio spots, and they called us. We’d play a chart for a couple of minutes so the DJ could overdub what was needed. We also would back others in need of musicians. At $10 a tune and right after school, it really was great! I met many classic old timers there and backed some future stars as well; it was a very fun time. I continued playing gigs with 1843, Chicago Typewriter, Vince Collins & the Soul Seakers, The Soultons, Willie Scott & The Velvets, and then landed with the Barons of Soul. I stayed with the Barons until 1971, and then traveled the world for a year or so, avoiding the Vietnam draft while looking for more adventure. In closing, I’ve found that friendship is everything – without it you have nothing!